Pearls Bridal Jewelry. Lustrous Soft & Timeless Elegance. Pearls Bridal Jewelry is timeless & has been popular with brides throughout the ages. We are proud to present our bridal jewelry & bridesmaids jewelry Pearls Collection. 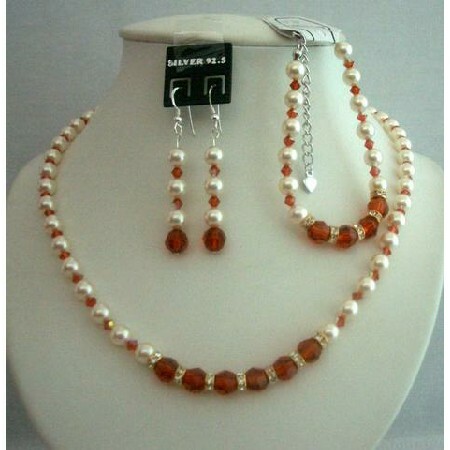 Traditional Lovely Necklace Set Adorned with Indian Red(Orange) Swarovski Crystals A Grade & Swarovski Cream Pearls complete Set with bracelet.